Have you ever waited for what feels like hours for a taxi? Or spent a lot of time worrying about elderly relatives who live alone? Or budgeted for your household utilities with little more than an educated guess? These may seem like unrelated issues, but they are some of the common problems that people face daily. In Singapore, specifically, there is a drive to find solutions to these pressing issues, and many more, by harnessing data, technology and networks. For example, with intelligent transport systems that manage traffic conditions and traffic flow, long taxi queues and rush-hour congestion could become a thing of the past. What’s more, smart home technologies can keep residents updated on usage of household utilities, or reassure senior citizens that relatives and healthcare workers will be alerted if they are ever in distress. Smart Nation, a country-wide initiative, was introduced by the Prime Minister in 2014. The project aims to build a modern city, where technological advances can complement and enhance the everyday lives of its inhabitants. Innovations in the areas of transport and congestion-easing, business, smart housing and academic research are already ongoing, with other ideas in the pipeline. Propelling the Smart Nation plan from a vision to reality within the next ten years is ambitious, but those spearheading the initiative are confident. A move to develop smart cities is gaining pace throughout the world, as similar initiatives are being rolled out in developed metropolitan cities, such as: London, Seoul, Ontario and Taipei. Developing countries like China and India are looking to invest in tech-geared cities, as well, as they move towards a smarter future. These countries face differing challenges. Singapore, however, claims an advantage as it has inherited and nurtured some unique characteristics. “Singapore will be the ideal test bed for proof of concept and prototype solutions for the existential future challenges […] The key is not technology but to create opportunities for people to interact, build communities and have a higher quality of life,” said Foreign Affairs Minister Vivian Balakrishnan, Minister-in-charge of the Smart Nation Initiative. Singapore became an independent nation just over 50 years ago and has developed an influential position in the Asia-Pacific region. The small size of the city-state – where the 447 square mile (719 square kilometer) country exists in a compact, but heavily urbanized area – makes changes to its infrastructure easier to implement. 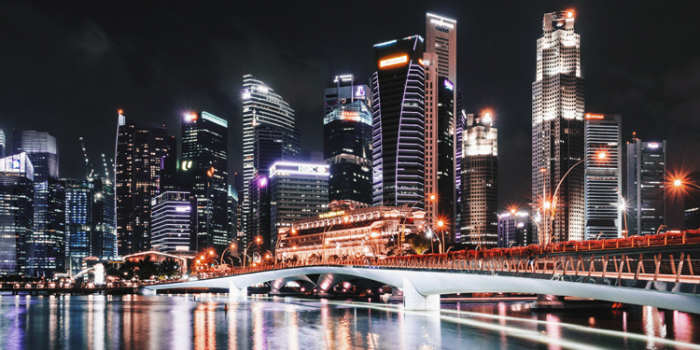 Instead of seeing transformation confined to a specific region or municipality, as would be the case in other nations, Singaporean Smart Nation initiatives can be rolled out across the entire country. Singaporean society has become more tech-savvy and proficient. Since 2014, 88% of households have internet access, and mobile penetration rate currently stands at 150%. Speaking at Singapore’s World Cities Summit in July 2016, Foreign Affairs Minister Vivian Balakrishnan – who is also Minister-in-Charge of the Smart Nation Initiative – said the government would need to change the way it operates and interacts with the nation’s people and highlighted five fundamental points for smart-future development: openness to experimentation, open standards, open source, open data and open society. “We are taking full advantage that we are a city-state with a single layer government,” he said. Open data sources, such as data.gov.sg and LTA DataMall, have been developed as a means to encourage co-creation and the exchange of ideas between the government and the public. The government has begun setting aside resources for the Smart Nation drive in academia, research and development. With that in mind, early estimates show that there will be a crucial need for manpower to fill the various roles generated by the plan. Singapore is nurturing interest in technology amongst its young, to ensure its students have employable skills and to help its workforce build up particular expertise needed in a highly competitive job market. Numerous other programs that allow higher education students and staff to take the time to brainstorm, research and create prototypes for Smart Nation projects, are underway. At the same time, the initiative is influencing early-stage education, with programs such as PlayMaker. This helps pre-schoolers develop creativity, problem-solving and sequencing skills through the use of age and development-appropriate toys and resources that do not require screen time. Inevitably, business plays a large part in future development plans. The Singapore government says it is making efforts to nurture a technologically-advanced and entrepreneurial climate, and startups are increasingly basing themselves there. For all nations, success comes with caveats. For instance, a growing population can lead to a strain on public transport. Singapore is no exception and is developing new technologies to ease the burden on its transport system and infrastructure. With the latest sensor and data processing advances, it aims to improve its traffic management system and deliver real-time information to people who travel around. Smartphone applications, such as SG Nextbus, use open data to help commuters keep tabs on bus arrival times so they don’t have to wait. Self-driving vehicles are a focus for the future, and the government has opened more than 3.7 miles (6 kilometers) of public roads for test-driving prototypes. Another initiative is bringing smart technology into Singaporeans’ everyday life and into their homes. The Housing & Development Board (HDB, and Singapore’s public housing authority) provides homes to more than 80 % of the country’s population. As a master planner and the largest developerin Singapore, HDB seeks out innovative ideas to ensure public housing keeps up with evolving needs. In recent years, HDB has begun to bring smart technologies into public housing estates to create a more liveable, efficient, sustainable and safe living environment for residents. In 2015, it launched its first smart-enabled new homes for sale. HDB has also brought smart initiatives to older public housing estates, test-running them at Yuhua, which is located in the western region. Under the trial, various smart devices that aim to make daily living easier have been made available to residents. For example, with the utilities management system, residents can track their electricity and water usage through mobile applications. The elderly monitoring system allows family members and caregivers to monitor the well-being of the elderly when they are alone at home. As the world starts to feel the heat from global warming, Singapore has taken steps to manage energy usage more intelligently. Policies put in place in Seoul, South Korea, have shown that governments can use technology to cut the amount of energy consumed and lower the amount of emissions of a built-up modern city. Singapore, too, has adopted new technologies in the planning and design of its city, in a bid to become more environmentally-friendly. For instance, smart lighting is being explored in parks – from lights that automatically turn on when motion is detected, to brightness levels that change, depending on the time of day. This is just the beginning of a Smart Nation, and countless possibilities still lie ahead.